When you have no particular car in mind, having too many variables can make the car shopping experience much more stressful and confusing. However, when you’re too picky, the experience can be just as difficult. To make the car shopping experience as painless as possible, we’ve compiled a list of things to consider when buying your first car. Price/Value: Before you start looking at prices, find the value of a car so you know where to begin with a budget. This will keep you from buying a decent but overpriced car or a damaged but inexpensive car. Accumulated Mileage: This is important because it will give you an indication of the general wear-and-tear of the car and an expectation of how long the car will be serviceable. Safety: Know the safety features of the car and research how they are rated. Cool and exotic cars make look good, but if they aren’t safe, it’s not something to invest in. Fuel Economy: A car may be cheaper to buy outright, but sometimes a less efficient gas mileage will mean putting much more money into the gas tank than you would have on the entire car. Brand Recalls: Before you buy, make yourself aware of any brand recalls with the specific type of car so you aren’t caught off guard if something happens. Dealer: Who you are buying from is just as important as what you’re buying. Car salesmen have a reputation of being dishonest, so make sure you know you’re buying from someone who is giving you the best deal on your car. Buying or leasing a car is a big decision and should not be done without the proper amount of research. It is critical to spend time reading customer and critic reviews, comparing similar models, and test driving cars at reputable dealerships. If you’re on the lookout for your first car, check out Swapalease.com. We are the largest online lease transfer marketplace and have vehicles and customers in every state in the continental United States and Canada. For more information on finding the best car lease deals or to learn how you can have a successful car lease trade, visit Swapalease.com or contact us at 866-SWAPNOW. More people are starting to make the switch from larger cars to subcompact cars like the Honda Fit or Toyota Yaris. Even in the United States, where bigger is always better, it’s becoming more common to see these small cars on the road. According to US News, these are the top 5 subcompact cars based on critics’ rating, performance, interior, safety, and reliability. Subcompact cars are making a comeback because people are starting to see the economic value behind them. Not only are they a cheaper purchase altogether, but basic car maintenance is also less expensive compared to larger cars. In addition, these cars have excellent fuel economy, so drivers will save money on gas. Another advantage of driving a smaller car is that you can fit in much smaller parking spaces. Crowded parking lots that were once a hassle to find a spot now become much more accessible because subcompact cars require much less space to park. Since subcompact cars are easier to drive, they make the perfect first car for any new driver. They are easy to maneuver when changing lanes and turning corners, which allows for a better driving experience. Even more experienced drivers note the sportier feel on the road gives these cars an extra appeal. 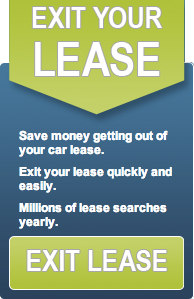 If you’re looking to switch over to a smaller, more fuel efficient car, check out Swapalease.com. It is commonly thought that it is more expensive to buy a hybrid or environmentally friendly car that to buy a standard car. Usually, hybrid and low-emissions vehicle cost more due to their unique features. But according to a new study, when operating and maintenance costs of the vehicle are considered, hybrid cars might actually be cheaper. Because vehicles most environmentally friendly and hybrid cars aim to cut back on their emission, they are actually saving the driver more money on purchasing gas. Additionally, many hybrid cars, SUV’s and trucks allow the driver to receive a federal tax credit. This credit provides the driver a dollar-for-dollar tax reduction just for driving a hybrid vehicle. The thought behind this is that this tax credit will offer an incentive for people to buy more environmentally friendly car. Thus, reducing the emissions put out by all car on the road. But there is a catch. Credits for hybrid cars without external battery changing capability are no longer offered as of 2010. Because hybrids gained popularity in the past few years, incentives were not as necessary as they once were to convince people to drive them. If you are curious about buying a hybrid and would like to know if you are eligible for a state incentive click here. Drivers of hybrid vehicles might also pay less for insurance. Some insurance companies think that people who driver environmentally friendly cars have a lower risk of being in an accident and therefore offer them lower rates. Do You Have What It Takes to Buy A Ferrari? For most people buying a car includes doing some research about which type of vehicle you want, going to a dealership or looking online and then purchasing or leasing that car. But if you are in the market for the new limited-edition Ferrari Aperta, you might have to jump through a few more hoops. While this type of luxury is not something that most drivers can afford for the rich and famous this is a hot ticket item. But Ferrari doesn’t just let anyone with the cash buy these swanky cars. There is a process that often involves becoming a member of the Ferrari “family” that a buyer will have to go through before being eligible for their limited-edition offerings. Past buyers of limited-edition vehicles have revealed some of the secrets of getting your hands on one of these cars. Often, interested buyers mist cultivate a relationship with a dealer, buying many of the standard Ferrari models over the years. Those “standard” models will cost you about $250,000 dollars by the way. Additionally, getting to know the company on a more personal level always helps your chances too. One way that buyers can do this is by visiting the Ferrari factory located in Maranello, Italy. Having an A-list celebrity profile that can influence the masses with your taste in cars doesn’t hurt either. Add all of these things up and you might just be lucky enough to be able to purchase the limited-edition offerings. The limited-edition Le Ferrari Aperta will be debuted at the Paris Auto Show this month. It is said that there will be only 150 of these vehicles produced thus increasing the demand for the car.